Draw the circle wide, that is what our faith is about isn’t it? We try to welcome all to the circle of this congregation and this faith. We try to pay attention to those who have been marginalized and we attempt to truly celebrate diversity in all of its manifestations. Just saying something doesn’t make it so, however. It will take all of us, working together, to live the words from that song and to live the words of our mission statement: Live your sacred, transform through love, act with courage. It will also take money, your money. 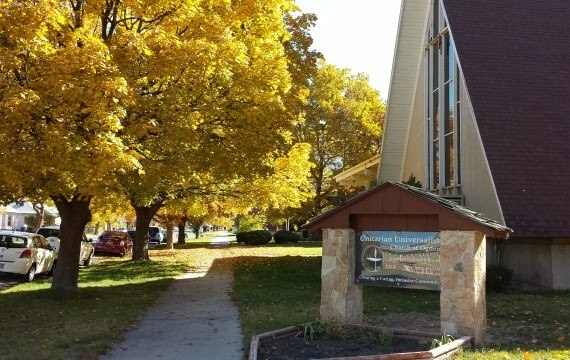 We are beginning our annual stewardship campaign, and during this campaign you will be asked to make a financial pledge in support of this congregation and its mission. You will be hearing a lot more about the goals and how they fit into the theme over the next month or so, but today I want to talk about money. Money can’t buy you love, as the song goes, but what is the meaning of money in your life? How important is it? Some of us may have heard those words and been faced with that actual decision, but for most of us, that stark choice is only something to think about – or maybe worry about. But the choice is pretty clear; almost all of us would choose life in that situation. You can’t take it with you, as the saying goes. A lot of us have lost money over the years and some of us have lost a great deal. Some of us have never had much money to begin with. There are those that have lost jobs, and those that have lost their homes. Financial loss or uncertainty can bring an increased tendency to hoard, or at least to be more cautious with our spending. Some of that is a good thing. Frankly, almost all of us, even those of us with fairly limited incomes, have gotten into some bad habits over years. Buying more than we need and always getting something new rather than repairing something old. It hasn’t been good for our pocketbooks, and has been terrible for the environment. The trash thrown out every day in a typical American household could feed and clothe a whole village for a month in many parts for the world. But when money is tight, we feel insecure. We are afraid of losing more. We tend to hold on tighter. This congregation, like all congregations has experienced financial worry, deferring decisions that might make a difference in how much you can do, both internally and in relationship to the wider world. We need to be careful not to hold on too tight to what money we have, however. If we confuse our net worth with our inherent worth, we can find we have lost not only money, but also our life. It is actually pretty easy to lose both, your money and your life. Maybe not easy in the sense that we will literally die if we lose all of our money. That can happen if someone ends up on the street, without food or shelter. If there isn’t money for medicine or health care, that too can be life threatening. But the real danger, for most of us, is to have hard economic times change us in ways that cause our spirits to die. If we let fear take over, then we can lose all the joy, all the possibilities, all the opportunities for generosity that can still be very much a part of our daily lives. We can become so cautious that we are always saving for some future rainy day despite the fact that it is already pouring outside and the roof is leaking buckets. We can let opportunities slip by us because we are convinced things will only get worse. Loss is a funny thing. It is never fun, but it can also make us appreciate what we have, can help us get our values clarified, and our priorities more in line with who we want to be in the world. People who have faced a life-threatening illness know this very well. I have never heard someone on their deathbed say that they wish they had spent more time with their money. And although some may wish they had more money to leave to their loved ones when they die, most know that it is the love they leave behind that has the most value. Instead, many people who have suffered serious illness come to a realization about what is really important in life. They treasure more of the moments, they enjoy the sunshine more deeply, and even, sometimes bad weather. Some, who have lost a loved one to death, also come to take better care of their remaining relationships. Make our own days glad. Now, you have all heard the saying that money can’t buy you happiness. Money can’t buy you love. A certain amount is necessary of course. Survival needs: clothing, shelter, food. Some money for some comfort items beyond the basics helps. It is nice to be able to go to a movie, eat out once in a while, or take a trip. But how much money do we really need? I found this poem by Kurt Vonnegut, most famous for his book, Slaughterhouse Five. He wrote it after his friend, and fellow author, Joseph Heller died. Heller wrote Catch 22. Those of you who didn’t read the books may have seen the movies. “The knowledge that I’ve got enough,” we really need to stop awhile and think about what that is, what it means. The larger consumer culture is always telling us that we don’t have enough, that we need a bigger house, a newer car, the latest fashion, and the most sophisticated electronic device that doesn’t even exist yet. The question, “what is enough?” has been a pretty personal one for me. As some of you know, I worked for the Social Security Administration for 25 years. It was a very secure job, and one that paid a fairly good salary. I could have kept working there another five years and would have received not only the additional salary, but also a much larger pension. My “net worth” would have been much higher than it is today if I had done that. But I was tired of working there; it wasn’t much of a challenge anymore even though I still loved the work in many ways. The early retirement pension that was offered seemed like it was enough to get by on. Instead of just staying on the job, I spend four years in seminary and am now been a minister. It is not a decision that I think I will ever regret. Life, my life and your life, is about much more than money. What makes you feel more alive and what gives your life its purpose and meaning? I suspect it is not really the size of your bank account, or even of your shrinking stock portfolio, if you were lucky enough to ever have either one of those. Money does have value, but I would maintain that the true value of money lies in how you spend it, not in how much you earn or in how much you have saved. I had to pay quite a bit of tuition for seminary, but what I learned there and the calling I have found as a result is priceless, way beyond the actual dollar value that could have paid for a very expensive and fancy car. The money I have given to the various good causes I have supported over the years is also worth much more to me than anything I have ever spent on furniture, for instance. Furniture is nice, nice furniture is even nicer I suppose, but expensive furniture doesn’t have the kind of value that is really important. That gets to some of the questions I am trying to ask today. Are you spending what money you have on something of real value, either for yourself or for someone else? As I said, you will be getting a lot more information about the stewardship campaign, including an invitation to share some food and talk about what this congregation means to you and what level of financial commitment you are both willing and able to meet. I want to ask you all of you to consider pledging at the “sustainer level. It will be in the chart you will receive later, but note that the amount varies by how much income you have. If your income is around $10,000 per year, you can consider yourself a sustainer of this congregation for $250 a year. If your income is $100,000 a year, it will cost you $5,000 to say the same thing. The stewardship campaign will be going on all month. Spend some of that time reflecting on how much this community means to you and how much you are willing and even eager to commit to ensuring that it thrives. Is it a matter of your money or your life? Some churches make promises of a penthouse suite in the celestial kingdom if you pledge generously to their church. I don’t believe what you give to a church will make a difference to you after you die. But what it just might do is help save your life now, today. True generosity always comes back to the giver. Giving might save your life, give it more meaning. It also might save someone else’s life. Put it all on a scale in your mind’s eye. Your money or your life, your money or someone else’s life, how do they balance out? I am not asking anyone to give more than they can or should. If you are struggling now to meet your basic needs, a token amount is just fine. But think about what you spend your money on, and what is really valuable in the long run. Most of us have enough money, much more than we usually realize. What we don’t have enough of is love, community, and justice. Pat Francis will speak later about how this congregation saved her life. She isn’t the only one here who has that story to tell. There are also a lot of other people who need what we have to offer. Can we draw our circle wide enough to include them? Money can’t buy you love, but what is the meaning of money in your life? How important is it? A lot of us have lost money over the years and some of us have lost a great deal. Some of us have never had much money. There are those that have lost jobs, and those that have lost their homes. Financial loss or uncertainty can bring an increased tendency to hoard, or at least to be more cautious with our spending. Some of that is a good thing. Frankly, almost all of us, even those of us with fairly limited incomes, have gotten into some bad habits over years. Buying more than we need and always getting something new rather than repairing something old. It hasn’t been good for our pocketbooks, and has been very terrible for the environment. The trash thrown out every day in a typical American household could feed and clothe a whole village for a month in many parts for the world. This congregation has experienced years of financial worry, deferring maintenance on the buildings and drawing down from its endowment to pay for operating expenses. This year is the first year in a long time where the budget will end in the black, and the budget for next year also looks very good at this moment. You all can be very proud that. Loss is a funny thing. It is never fun, but it can also make us appreciate what we have, can help us get our values clarified, and our priorities more in line with who we want to be in the world. People who have faced a life threatening illness know this very well. I have never heard someone on their deathbed say that they wish they had spent more time with their money. And although some may wish they had more money to leave to their loved ones when they die, most know that it is the love they leave behind that has the most value. Make our own days glad. Now, you have all heard the saying that money can’t buy you happiness. Money can’t buy you love. A certain amount is necessary of course. Survival needs: clothing, shelter, food. Some money for some comfort items beyond the basics helps. It is nice to be able to go to a movie or eat out once in awhile, or take a trip. But how much money do we really need? I found this poem by Kurt Vonnegut, most famous for his book, Slaughterhouse Five. He wrote after his friend, and fellow author, Joseph Heller died. Heller wrote Catch 22. Those of you who didn’t read the books may have seen the movies. Instead of just staying on the job, I spend four years in seminary and have now been a minister for 8 years. It is not a decision that I think I will ever regret. The members of this congregation got an email on Friday, letting you know that next week will be my last Sunday with you. I will be in the office the following week and then will take my accrued leave, with my resignation effective July 19th. It’s been wonderful being the minister of this congregation, despite our difficulties. I hope you all know that I have loved you and tried to do my best for you. Sometimes, however, things stop working and the future possibilities of a particular ministry become limited. That is the time when a larger wisdom calls us to move on. Life, my life and your life, is about much more than money. What makes you feel more alive and what gives your life its purpose and meaning? I suspect it is not really the size of your bank account, or even of your shrinking stock portfolio, if you were lucky enough to ever have either one of those. Most of you know we are at the beginning of the annual stewardship campaign. Members, regular attendees, and supportive friends each year are asked to make a commitment of financial support to keep this fellowship going. We receive no outside support and in fact also support our larger denomination to the tune of around a $100 per member annually. Everything we do here comes from the people here and from rentals of the building which the founders of this fellowship purchased by mortgaging their own homes. This year, there is a relatively ambitious goal of $50,000. 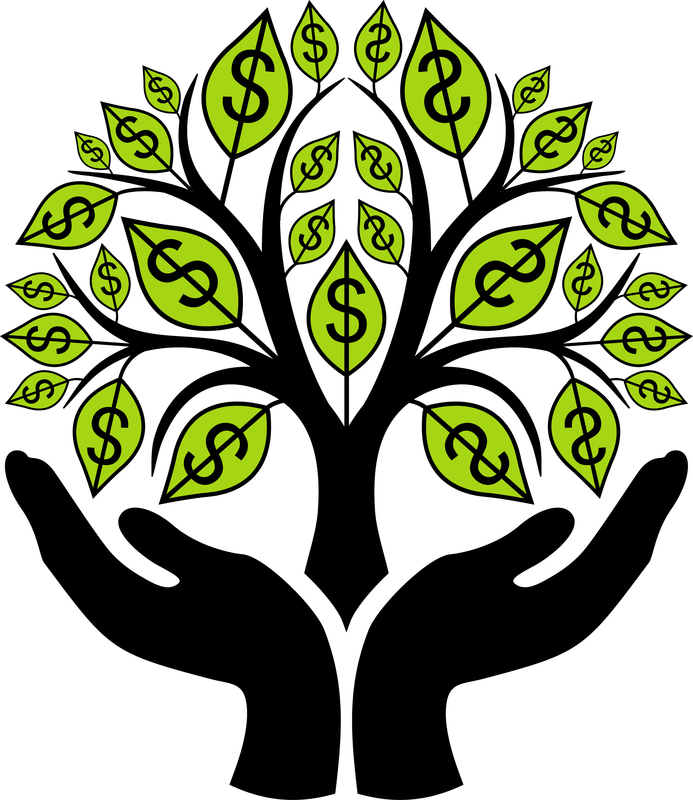 If you make that goal, it will mean that there will be enough money to continue current programs, make necessary building repairs, save for things like an elevator and a new roof, and also begin to repay part of the money that was borrowed from the endowment in years past. This is a stretch goal, last year the amount members and friends pledges was $36,000, $14,000 less than is hoped for this year. The excellent news is that your board has already pledged close to $10,000. 20% of the goal has already been met! Many of you got a letter this week with a pledge form inside. There are some here today as well. You can fill it out and turn it in today if you like. But I want to ask you to maybe not do that, unless you are ready to pledge at sustainer level or above. Note that those amounts vary by how much income you have. If your income is around $10,000 per year, you can consider yourself a sustainer of this fellowship for $250. If your income is $100,000 a year, it will cost you $5,000 to say the same thing. Also, please be aware that pledges are a year long commitment, and not a “once a year write a check for what you can do on a particular day.” The stewardship campaign will be going on all month. Spend that time reflecting on how much this community means to you and how much you are willing and even eager to commit ensuring that it both survives and thrives. Put it all on a scale in your mind’s eye. Your money or your life, your money or someone else’s life, how do they balance out? I am not asking anyone to give more than they can or should. If you are struggling now to meet your basic needs, a token amount is just fine. But think about what you spend your money on, and what is really valuable in the long run. Most of us have enough, much more than we usually realize. What is the meaning of your life? What is the meaning of your money? How will you spend them? Please be as generous as you can.